German one-upmanship never ceases to amaze. In a mad scramble, Audi will be the first automaker to push a production car with laser headlights to the road, not BMW. 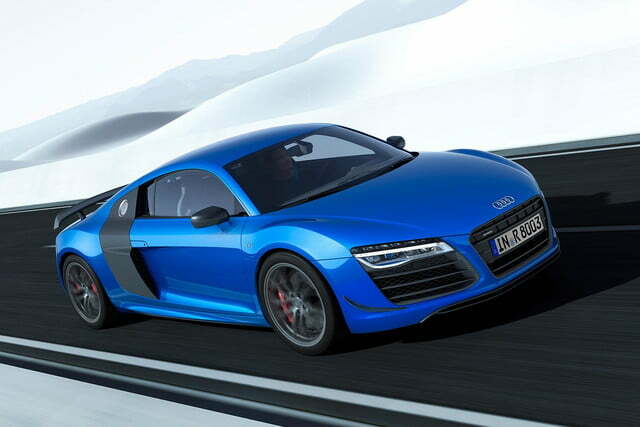 Called the R8 LMX, the limited-run supercar will go on sale this summer. And although only 99 examples will ever be built, it will stand as the world’s first production car to illuminate the road ahead with lasers. 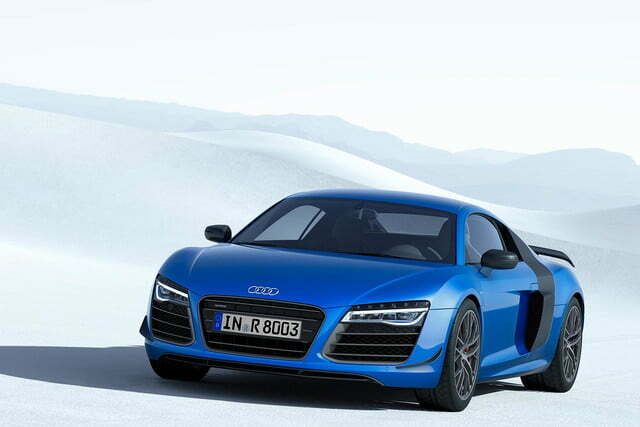 The Audi R8, originally released in 2007, is nearing the end of its lifespan. 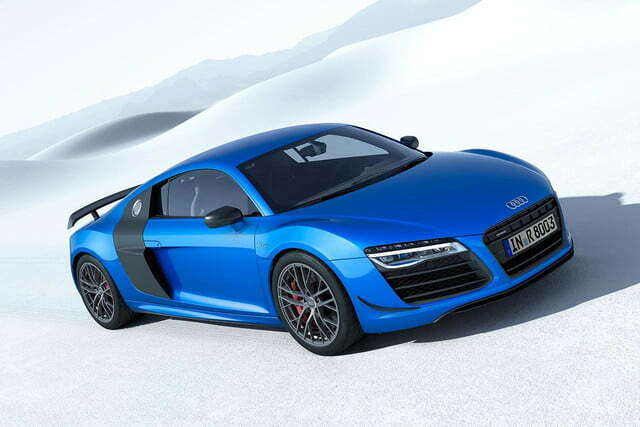 That doesn’t mean, however, that Audi has given up on its aging supercar. As the Lamborghini-based Teutonic rocketship nears the end of the line, Audi has decided to give it an extremely limited special edition. It’s a fitting send-off, as it’ll embarrass BMW, Audi’s chief competitor, and also reignite the fervor surrounding the R8 before the second-gen is unveiled. Going on sale in Germany this June, the R8 LMX will beat the BMW i8 to showrooms as the world’s first production car to offer standard laser headlights. It’s clearly a mad dash to cross the finish line first, but it’s well deserved. Audi has long been a pioneer of lighting technologies. Along with its Matrix Beam headlight technology, Audi has been testing laser headlights on its R18 e-tron quattro Le Mans racecar for months. With so much attention paid to the lighting tech, it’d be a shame to see Bimmer beat Audi to the punch. Cleverly, a camera system monitors the roadway ahead. When it detects oncoming traffic, it adjusts the light pattern around the car ahead. Oh, and as for the car itself, it’s a supercar masterpiece. 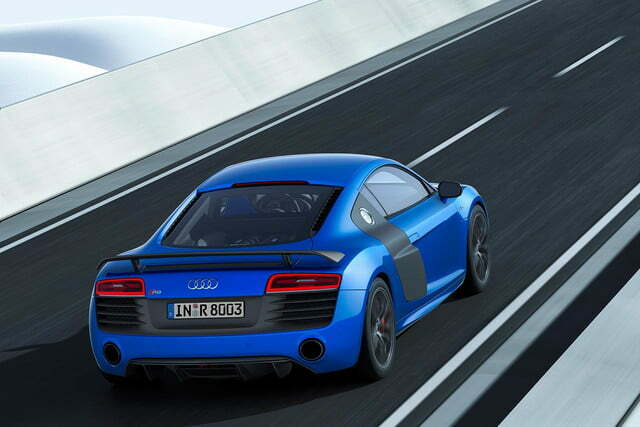 Bathed Ara Blue paint, the R8 LMX boasts a 570-horsepower 5.2-liter V10 good for 0 to 62 in 3.4 seconds and a top speed of 198.8 mph. Keeping the car planted to the road is a fixed rear spoiler made from carbon fiber. On the interior, Audi’s designers had an Ara Blue field day. The Fine Nappa leather seats are accented with diamond pattern stitching and Ara Blue backrest covers. The rest is black with Sepang Blue accent stitching throughout. Finishing it off, matte carbon is used on the center tunnel console and the parking brake lever, on the inlays in the doors, and the arc around the cockpit. Interested in getting your hands on one of these rare beasts? Unless you’re in Europe, think again. 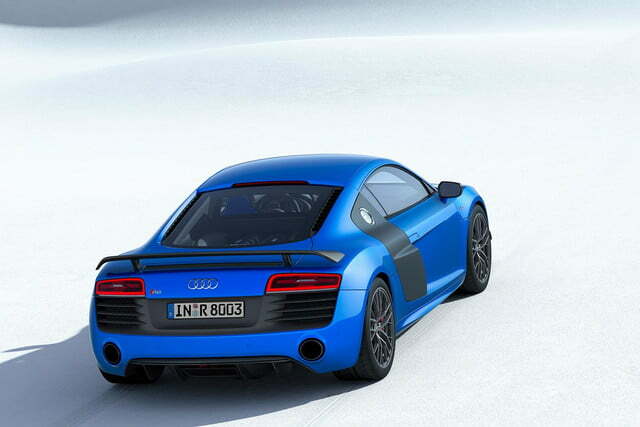 The base price for the R8 LMX will start at €210,000 ($288,855). If that weren’t prohibitive enough, the laser headlights are currently illegal in the U.S. So even if you could afford one, you couldn’t drive it on the road. Is Apple asleep at the wheel on the MacBook Air?